As healthcare costs and prescription drug prices continue a steady climb, some Americans are turning to online pharmacies in other countries to access the drugs they need for a fraction of the price. But re-importing drugs into the U.S. is against the law, and both the pharmaceutical industry and the Food and Drug Administration (FDA) say it's a dangerous means to an end. Because the Canadian government has placed price controls on medication, the same prescription drugs sold for high prices in the U.S. cost much less in Canada and many other countries. For years, Canadian online pharmacies have sold these drugs back across the border to U.S. consumers, in violation of federal law. In August, the National Association of Boards of Pharmacy, an industry trade group, issued a report containing a review of more than 100 websites that were said to be operating from Canada. The report found that 74 percent were actually not located in Canada, and that none required a valid prescription in order to obtain the drugs. Under FDA regulations, drugs imported from other countries directly by consumers -- even those legally manufactured in the U.S. -- constitute "unapproved drugs." While the drugs were inspected before leaving the U.S., it says they have not been inspected prior to returning. The agency says consumers take a health risk, as well as a legal risk, when they purchase prescription drugs from Canada or other countries. Gabriel Levitt, vice president of online pharmacy watchdog site PharmacyChecker.com, says the law against importing prescription drugs is rarely enforced. Writing in a New York Times op-ed, Levitt charged drug industry lobbying efforts have spent years trying to persuade U.S. consumers to avoid foreign pharmacies. "As part of that lobbying, they have made it seem as if all medications purchased from Canada and other international sources are the same as those that come from websites that sell counterfeit drugs," Levitt wrote. "Even the FDA has made that suggestion." Levitt says the drugs sold online by reputable Canadian pharmacies are the same ones sold in the U.S., or generic versions of those drugs. But the FDA says consumers buying drugs online have little way of knowing whether an online pharmacy is legitimate or selling counterfeit drugs. 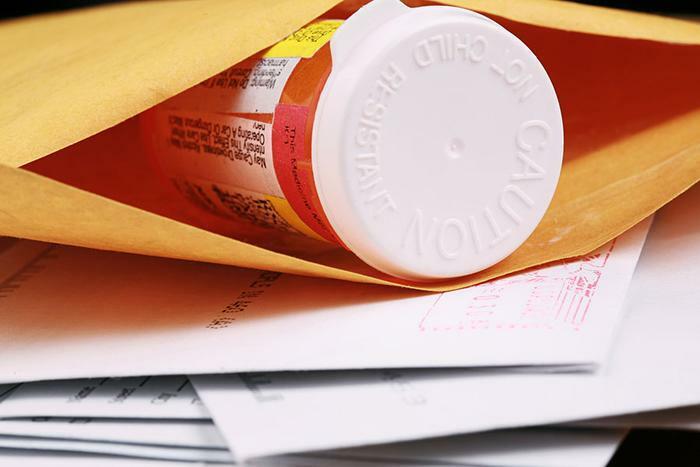 It says counterfeit pharmacies can make their websites look legitimate, and the only way to know if you are dealing with a safe and legal online pharmacy is to use your state board of pharmacy’s license database via an online tool. Provide a physical address and telephone number in the U.S.
House and Senate Democrats plan to introduce legislation to legalize the direct purchase of prescription drugs from foreign pharmacies. Whether the measure has much chance in the GOP-controlled Congress is unknown. While he has offered no specific support for the idea, President Trump was a frequent critic of high drug prices during last year's presidential campaign and as recently as this month linked pharmaceutical industry lobbying with the dramatic rise in prescription drug prices.